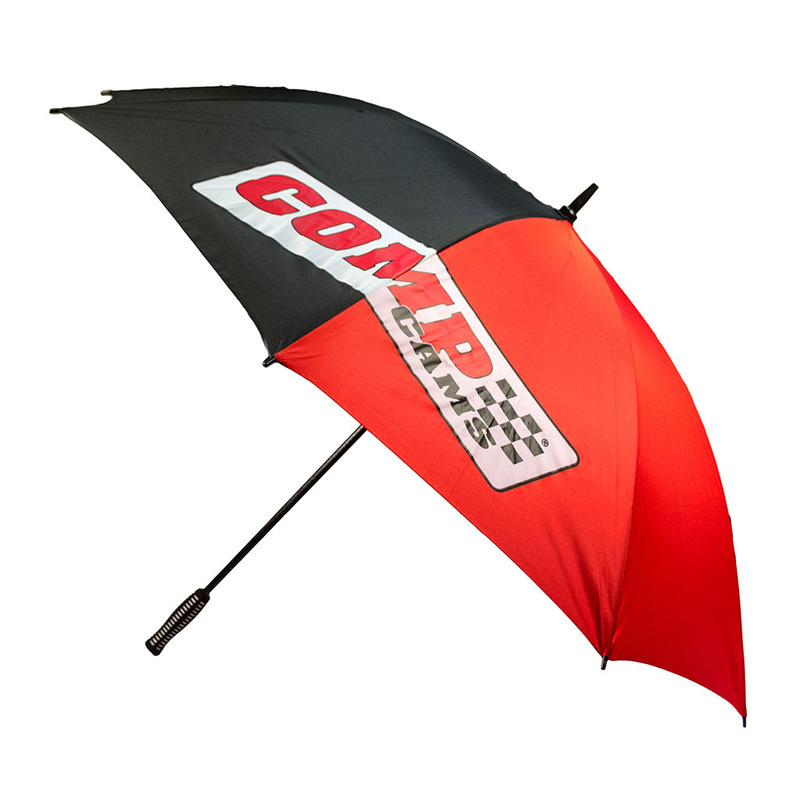 A new golf-style umbrella from COMP Cams is a must have for both rainy and sunny days at the track or car show. The 48″ diameter umbrella features the COMP Cams logo and a carbon fiber-look shaft with a soft rubber handle grip for easy carrying. When you’re ready to brave the elements, it easily folds down with a wraparound Velcro strap to keep it shut.